Great portrait. Love the light, the B&W and the details. Superb portrait. The light is perfect. 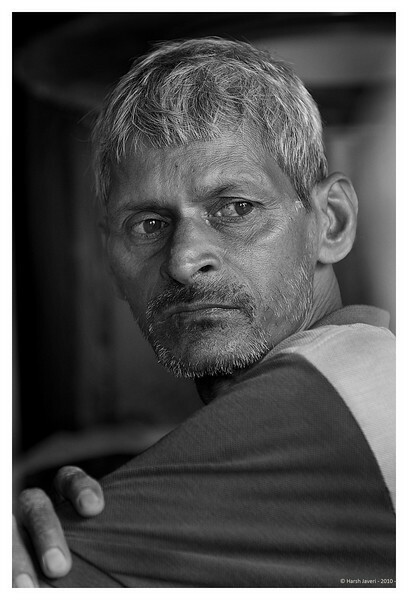 Wonderful black and white portrait.. you really captured him in great light with wonderful contrast and detail! By the way, you suggested I crop out the car window in my shot of the bench along a pond. I did crop it in lightroom, but haven't posted it yet. It actually was a fence in front of my car, not the window frame of the car.. I was afraid it was too tight a crop, but you and Deb ( Larkphoto) who also suggested the crop were right..looks better! Thank you! Great shot, I like the color but the b&w speaks louder.